Two Hampshire fire investigation dogs have retired after helping put dozens of criminals behind bars. 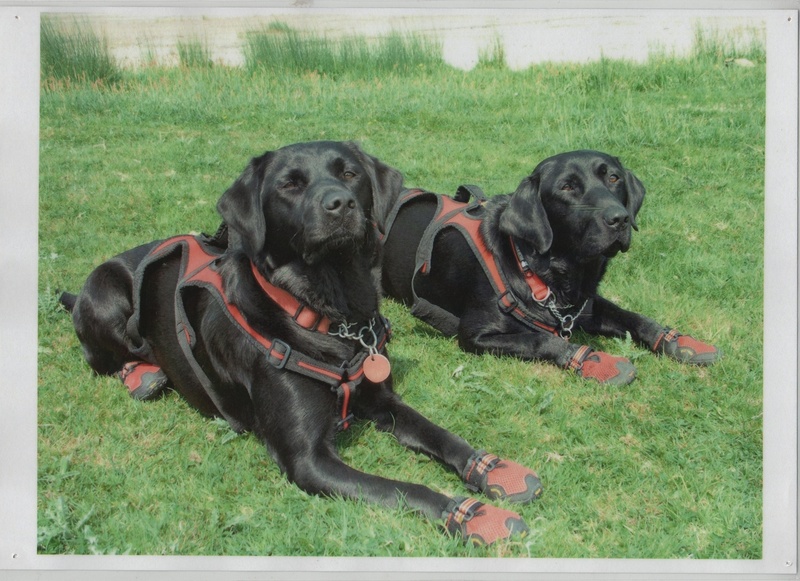 Hampshire Fire and Rescue Service’s search dogs Saxon and Inca are hanging up their boots after 126 (dog) years loyal service. The two Labradors between them have attended more than 500 operational incidents where they have been vital in securing many convictions over their time in the Service. One conviction where the dogs played a vital role in putting a criminal behind bars was at an incident in 2010 when petrol had been poured through the letterbox in Gosport before being set alight. As the fire took hold of the property, two adults and four young children escaped through a window. Both Saxon and Inca were deployed as part of our fire investigation team and they indicated the presence of an ignitable liquid which led to the successful conviction of David Regan who was found guilty and jailed for endangering life. 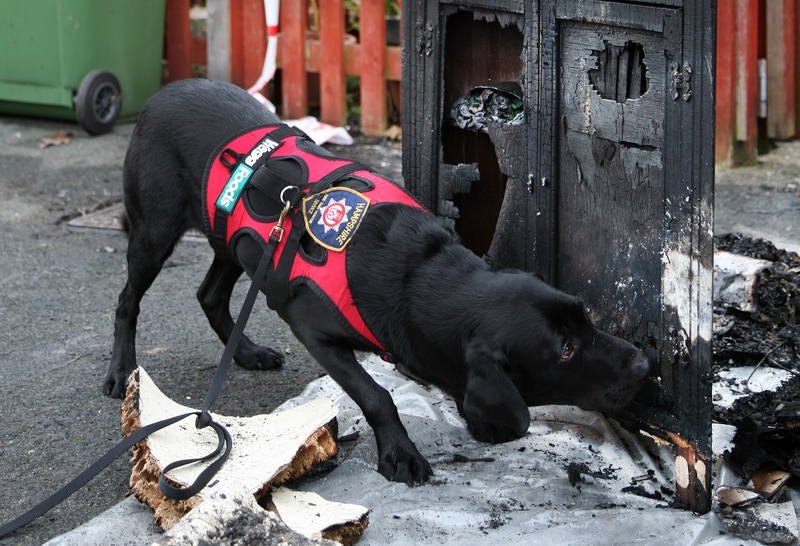 Fire investigation dogs are trained to work out how fires started by using their advanced sense of smell to hunt for traces of the flammable liquids used to start fires. Saxon and Inca’s sense of smell is so strong that if you put a single drop of petrol at one end of a football pitch, they would be able to smell it from the other end. Sometimes a trace of petrol is so small that bringing in the fire investigation dogs is the only chance of finding that vital piece of evidence. Saxon, now 11, has served with HFRS for a little over a decade. He was originally supplied by C.P Gregory and Associates who also trained both Saxon and Graham at the Ministry of Defence Police Training Facility in Wethersfield, Essex. Inca (Saxon’s younger sister), aged 10, has served with HFRS for eight years. She was originally trained to work as a gun dog, but was soon found to be better suited to fire investigation work and was trained by Graham personally in his spare time. The Service won’t be left without detective dogs because Spaniels Millie and Ruby, and Border Collie Harvey will carry on their good work to continue putting criminals behind bars. Saxon and Inca will enjoy their well deserved retirement at home with Graham and his wife Jo. EASTLEIGH VOICE. what a waste of paper. LIB DEMS TO INVEST £8bn Extra In to the NHS. or the Tories are in government.